Creativity is making marvelous out of the discarded. Inspired by this idea, two friends Dhara and Sonali are out on an expedition of transforming lives by transforming trash. Upcycling is not everyone’s cup of tea, but it seems like these undaunted women have mastered the art. 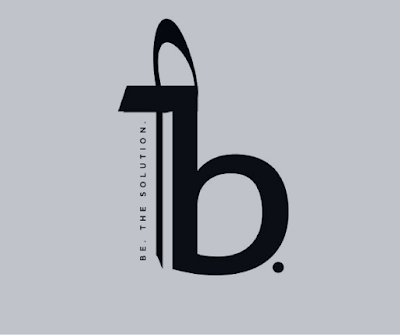 ‘StudioAlternatives’ was started as a regular design and consultancy firm in 2010. 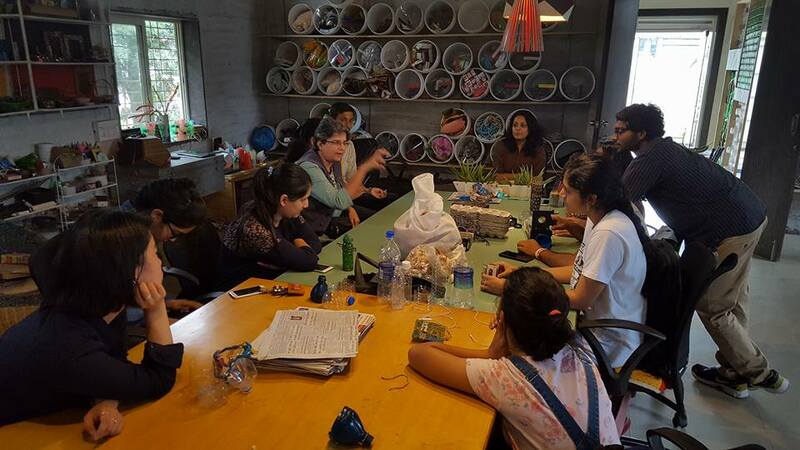 But determined to make worth out of the worthless, Pune-based Dhara Kabaria along with her friend Sonali Phadke started ScrapLab in 2015, a R&D studio where they experiment with the tossed-out materials and add value to them. However they conceived the concept of re-imagining waste in 2012 but it took them three years to make it tangible. Out of the two fountainheads, Dhara, the Co-Founder and Principal Designer of this idiosyncratic venture is an alumnus of the School of Interior Design, CEPT, Ahmedabad and did her masters in 3-dimensional design from the Kent Institute of Art and Design, Rochester, UK. On the other hand, the partner, Sonali comes from an Engineering background and she had been handling her family business in Composites and Plastics. Together with a handful of skilled craftsmen and artisans, they create magic out of the mundane. Their primary focus has been to utilize the scrap and other undesirables from the households and industries, restore and recreate them into something useful. Wall claddings made from discarded mother-boards and newspapers, furniture from woven nivar, table tops made from denim tags are a few show stoppers. They have also restored glasses to make dazzling partitions which could be used in restaurants and offices. That’s not all; they have upcycled waste to create impressive ambience and lightning products like reclaimed bottle chandelier and fishing net lamps. Art pieces like mosaic birdhouses, bowls and vases, utilities like centre-tables, wall clocks, paint bucket stools, artistic coasters; they tried their hands in everything. You name it and you get it. Until today, no one knew that upcycling could be this fun. But their latest endeavor has turned out to be the biggest crowd magnet for them. They have recently started transforming container spaces into alternative accommodations and it has been the talk of the town. Why wouldn’t it be? After all the idea of turning old ship wreck into furnished home is brilliant. These containers were meant to carry cargo but with the course of time, they turned obsolete. So, they decided to give it a new purpose. They got them at their studio, created spaces and people loved it. The best thing about these shipping containers is that they are mobile and can be carried anywhere, plus they have an inherent structural strength. They have created an Activity Centre for an NGO named ‘Quest’ located in Uchat Village, in Wada, using these discarded shipping containers. Likewise they have built office space, studio apartment, school rooms, farmhouses, public toilet block, machine display unit and vocational training centre to cater to the needs of different clients. 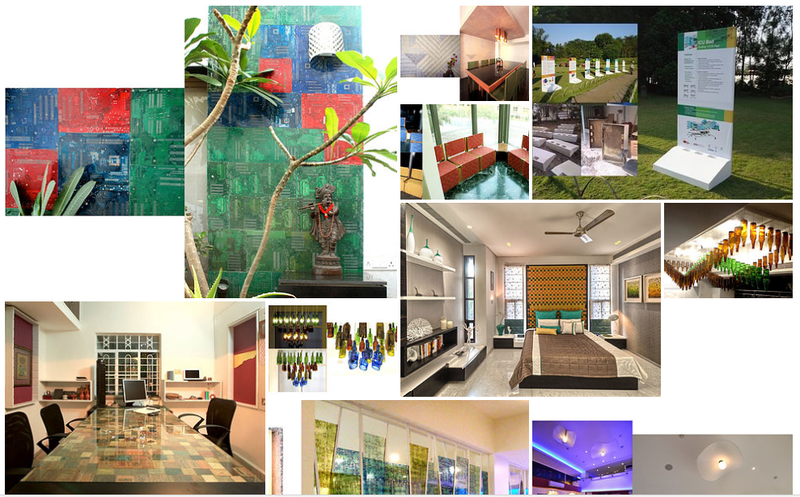 They also did an internal Project for Studio Alternatives, called Project Home where they successfully used 20 shipping containers and remodeled them into a beautiful 2BHK Home, right from insulation to furniture; everything was created from a variety of scrap. In February 2017, they received a ‘IID Anchor Award for Design and Excellence’ for their ready-to-install container school project. Custom workshops are also conducted by Studio Alternatives for anyone who is interested, you can visit their page to know more and drop a mail. They will be more than happy to get back to you. Unlike the rest, they chose to breathe life into the quotidian because of the unending ardour to explore and experiment with things. Very few people have the capability to turn their passion into a paycheck. Dhara and Sonali are definitely one of them. Read another mind-boggling startup story: "Remote Year- the ultimate travel startup"